Milisa Moses picked me up at the South Wellfleet General Store on a late foggy morning. We chatted a bit as she drove me down a long winding dirt road through the thick and almost rainforest-like woods that are so unique to Cape Cod. We curved around bends, finally driving over a crushed shell driveway and out into an opening where a very interesting home was hiding. 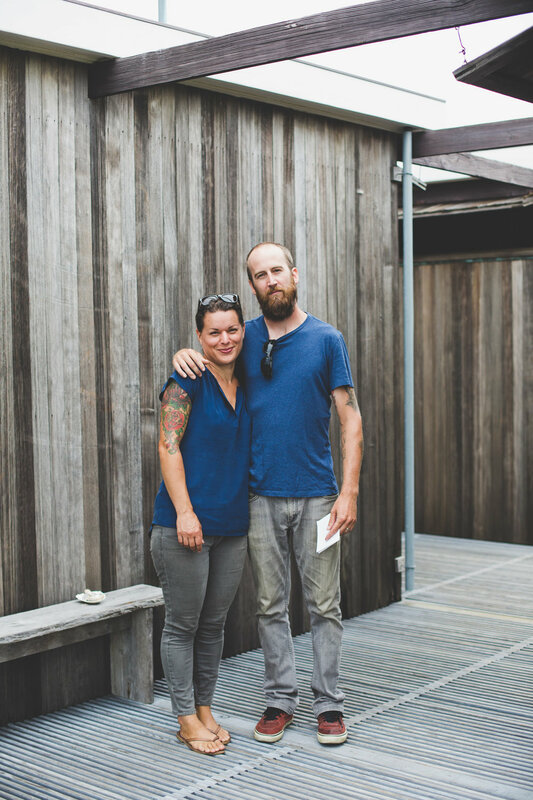 An amazing non-profit called The Cape Cod Modern House Trust (CCMHT) drew Milisa and her husband Thomas to the Cape. 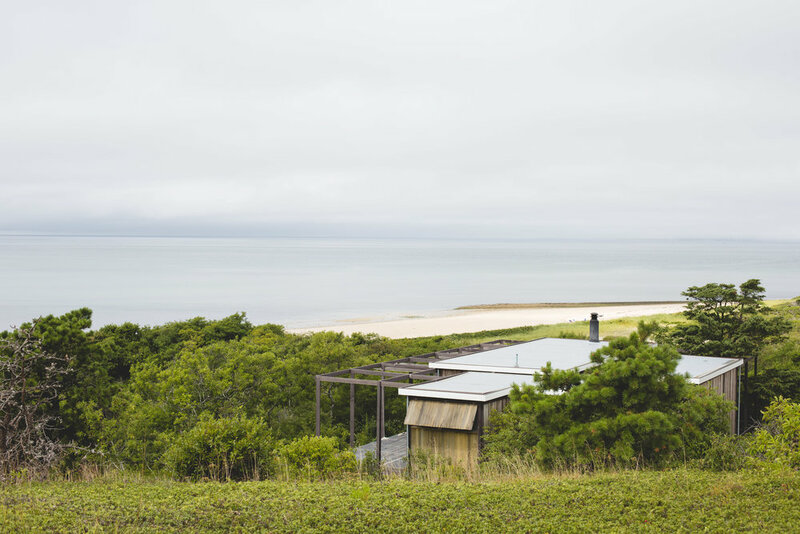 The trust was founded in 2007 with a drive to preserve and renovate crumbling, abandoned homes that were owned by the Cape Cod National Seashore. In the 1930s, the Outer Cape attracted many engineers, writers, and architects along with their students and friends. Many creative minds and lavish parties were melded with the natural world surrounding these houses. It was a place of inspiration and peace for many, and still is today. In 1959, there was talk of legislation being brought to the area of the National Seashore that would stifle development. For the next few years, people began to build houses along the shore, thinking the bill would never pass. When it did, the government froze all new development from starting and those who had built were given a choice to leave, pay a 25-year lease or even a lifetime lease. The ones that were left have been slowly decaying into the forest. Others like the one we visited were part of a lifetime lease and eventually restored after many years. So far, CCMHT has leased and restored three of the abandoned, federally owned houses. 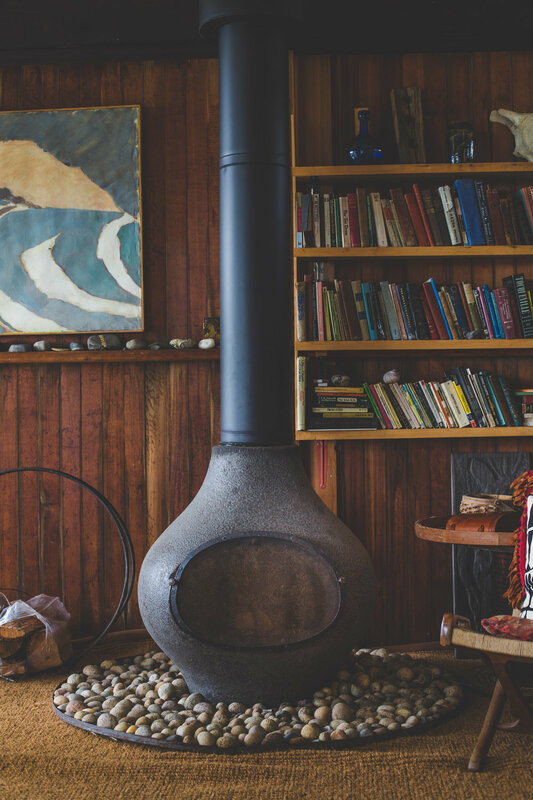 We visited The Hatch Cottage, designed by Jack Hall in 1960 for owners Ruth and Robert Hatch. Ruth Hatch, widowed, ended up living at the cottage well into her 90s, even through the colder months of October and November. The house originally had no electricity and only limited heat from a single fireplace. Ruth was a painter, and so was her daughter. The family was kind enough to keep most of the belongings that were left behind and once the house was restored, they brought them back. Some of the paintings hanging on the walls are Ruth’s and her daughter’s, which give it such a personal touch and truly show the incredible history behind the home. The home itself, renovated by Founding Director Peter McMahon, was inspired and modeled after a chicken coupe, if you can believe it. It is a gray washboard on the outside, one level, but all rooms are separate and placed on top of a metal deck. The vibe is very modern with hints of vintage. There are many unique touches to the house, such as doors with latches that can be pulled up or down to board up the place if the weather gets nasty. And little knick-knacks can be found through out, like a string of fishing lures that have been collected off of the seashore. Besides a new roof, decking, septic, electric, and footings, the original house is mostly intact. It has a beautiful view of the ocean and there’s even a small public beach (if you can find it!). The houses are available to rent out for weekend getaways or longer vacations. 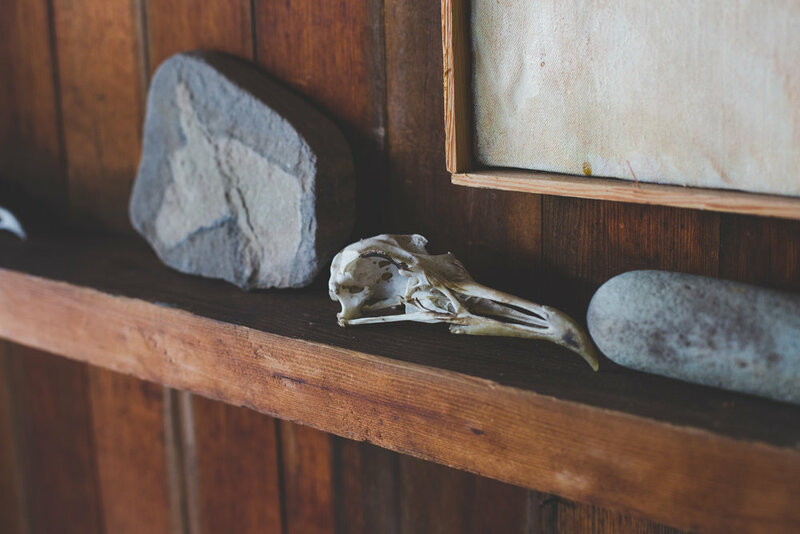 The Hatch house is a perfect place to enjoy the serenity of the ocean and surrounding nature that has been preserved for years. The history of the land and those who lived there are still very evident. There are many homes still abandoned, which are slightly eerie looking on a foggy day such as the one we visited on. But the breath of new life that has been shared with these renovated homes gives us hope for new beginnings and ways to transform the spaces and places around the seashore. Visit www.ccmht.org to learn more.